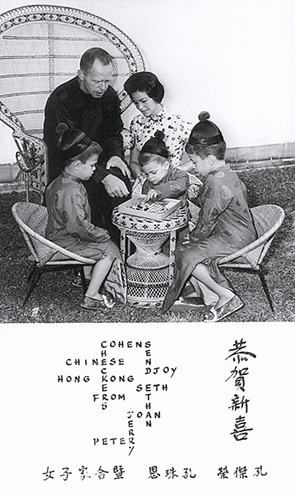 Here you can find Jerry Cohen's many stories about his career in developing the field of Chinese legal studies and his encounter with Asia. These stories are part of his upcoming memoir. His video memoirs "Life, Law and Asia" (a total of 16 chapters) are also available here. Jerome A. Cohen, Chinese (Taiwan) Yearbook of International Law and Affairs, Volume 33 (2015).  “Sanshi erli!” I first heard this famous Chinese phrase before I could understand it. Every educated Chinese knows it as one of a series of maxims coined by China’s greatest sage, Confucius, as advice appropriate to life’s successive decades. Jerome A. Cohen, Hong Kong Law Journal, Vol. 47, Part 1 of 2017. Establishing a research center on the border of what was still called Red China or Communist China was a delicate undertaking because the British colonial authorities, always concerned to avoid offending the Mainland government, were carefully scrutinizing the preparations for the USC. They kept admonishing Bob Gray, a nice New York foundation executive who was not familiar with China or Hong Kong, but who had been sent out to set up and direct the Centre, to move slowly. Actually, the Brits seemed to suspect that the Centre was going to be a CIA front for China-watching or at least that a few of its American scholars might be connected to “the Agency”. Carnegie was apparently so sensitive to the British concern about China-watching that it made the name of the new organization the innocuous-sounding “Universities Service Centre” without indicating what the focus of its work would be. From the name alone, the uninformed might have mistaken the Centre for an auto repair shop! It was not until 1993 that the words “For China Studies” were added to the name. On June 16, 1972, I had the good fortune to have dinner with Premier Zhou Enlai. I sat on his left and John Fairbank, the great historian of China, sat on his right. We were both from Harvard and had been members of a Harvard-MIT faculty group of China specialists who, immediately after Richard Nixon‘s 1968 election, had given the President-elect and his new assistant, our erstwhile colleague Henry Kissinger, a memorandum proposing steps towards a new American policy toward China. 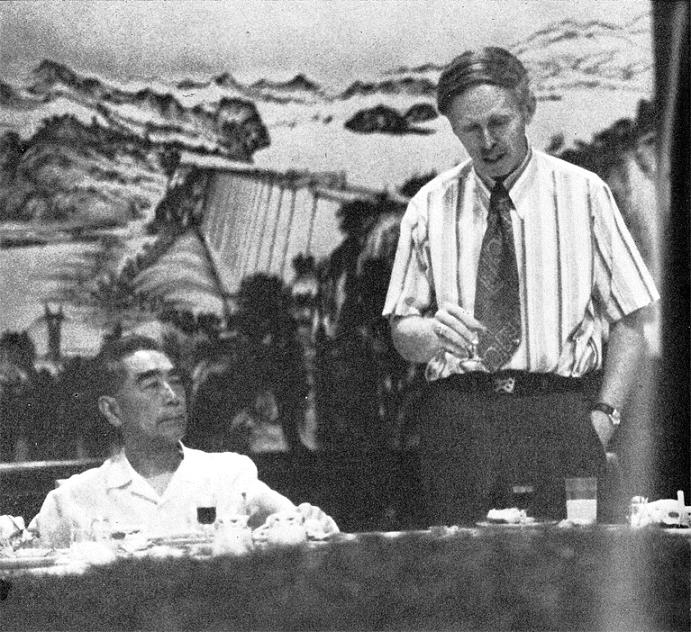 During our 1972 dinner with Zhou, we tried to persuade him to start the process of cultural exchange that we had recommended by permitting Chinese to go to Harvard. Zhou was interested, but he thought it was premature in the absence of formal diplomatic relations. He cleverly sparred with us on this and other topics. Finally, near the end of the dinner, I decided to go off on a different tack. I said to Zhou and to the group of Chinese officials around the table, including his deputy foreign minister, Qiao Guanhua, ―Now that you‘re in the United Nations, you should put somebody on the International Court of Justice. They thought that was the funniest thing that anybody could ever suggest. They thought I was a comedian! What a ridiculous idea that the PRC would want to put someone on that bourgeois institution, the ICJ, where the Chinese representative would surely be outvoted and perhaps not even treated fairly. Their response reflected not only their Communist orientation, but also the distrust that many East Asians have felt toward Westerndominated international tribunals since international law came to East Asia in the latter half of the nineteenth century. This is an account of my experiences in China during the years 1979-81 when I had the opportunity to participate in the re-establishment of a largely Soviet-style legal system following the end of the Cultural Revolution. It describes my two years of teaching foreign direct investment law and international business law generally, including dispute resolution processes, to Beijing city officials charged with the responsibility of negotiating trade, licensing and joint venture investment contracts with multinational corporations. I also discuss my early experiences actually negotiating such contracts with Chinese officials on behalf of American and other companies and conducting special training programs for legislative draftsmen and administrators in the fields of taxation and investment law. In addition, I mention my related efforts involving translation and publication of emerging legislation into English, selecting the first Chinese officials to study law in the United States and giving occasional lectures in cities beyond Beijing. Seldom has the death of a great Asian leader commanded as much appreciation in the West as the passing of Lee Kuan Yew. The mind numbs at the number of well-earned tributes to the man who led Singapore to become a successful and influential nation-state. Despite the huge disparity in size and political-legal culture between Singapore and mainland China, many observers have emphasised the seductive attraction that ‘the Singapore model’ has held for Chinese communist leaders who are searching for a formula that will enhance China’s phenomenal economic development without sacrificing the Party’s dictatorial control. Other writers have featured Lee’s intellectual brilliance, self-confident personality and deep understanding of world politics, which he freely dispensed to political leaders of various countries eager to bridge the gap between East and West. A few early post-mortems have even transcended the natural tendency, in the wake of his departure, to minimise the costs of Lee’s accomplishments, especially his authoritarian policies and practices.